Inspiring design ideas from decorators and professional designers that offer simple diy projects help make your front yard, patio or backyard designs more comfortable and unique. Creative diy projects are a way to add personal touch to outdoor decor and design beautiful and inviting garden decorations to enjoy in summer. Ordinary wooden benches can become more functional and decorative, if you add a wheel and small containers with flowers to their plain designs. 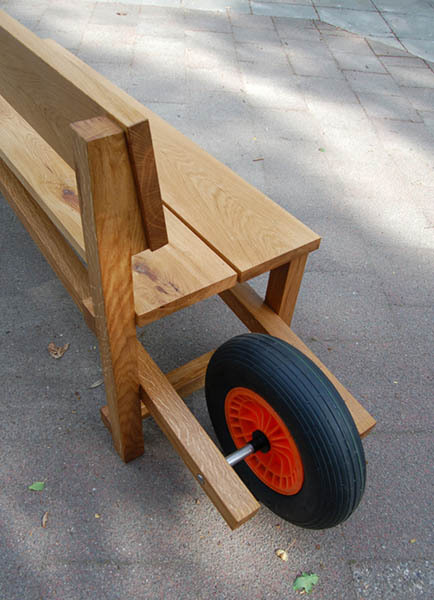 The wheel allows to move the bench from a sunny spot to the shade alone. Dutch designer Rogier Martens came up with this original backyard idea. 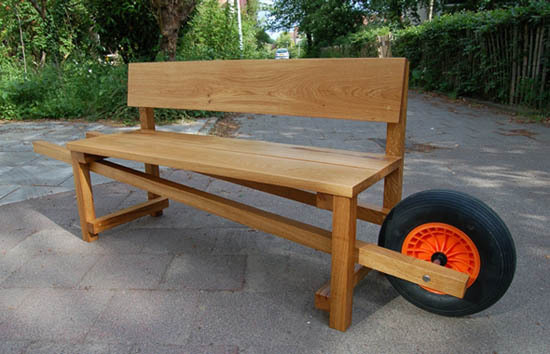 Inspiring by a ​​single wheel barrows, the designer transformed a wooden bench into unique, comfortable and portable garden furniture piece called Wheelbench. You can paint the wheel bright color, adding an eye catching element to your front yard, patio or backyard design. 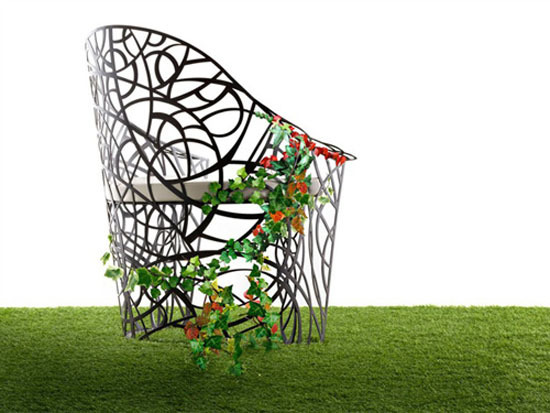 Garden furniture from De Castelli, www.decastelli.it/site/ are elegant and charming. Wrought iron furniture is ideal for front yard or backyard decorating. Furniture pieces can be decorated with green climbing plants, like ivy or blooming climbing plants, like nasturtium, adding gorgeous garden decorations to your outdoor decor. 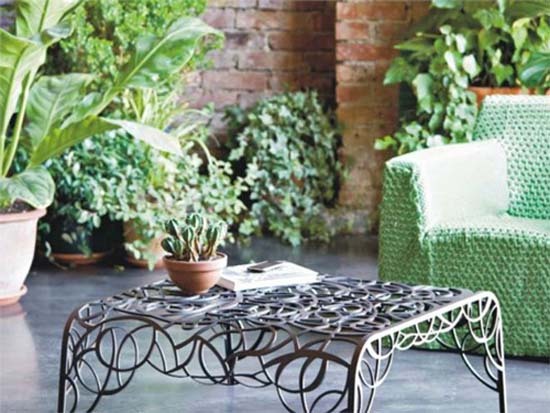 Beautiful wrought iron furniture pieces are excellent garden decorations. Adorned with green plants and flowers they make stunning focal points for decorating your front yard, balcony or patio in elegant style, and creating charming and romantic front yard, patio and backyard designs. Bended and shaped metal looks beautiful, offering elegant and classy garden decorations. Creative and innovative approaches add whimsical elements, allowing to experiment and create sophisticated and impressive backyard or garden designs.